Ben is an entrepreneur, product designer, and software engineer. He founded Vimify, a platform for lifestyle training programs. Ben is leading the awareness and fundraising effort for the TechnoGecko. I’m a software engineer and Apple DEST, and with DiscoFish I’ve enjoyed getting my hands dirty cutting, drilling, screwing parts together, running cables, and installing solar panels, lithium battery packs and charge controllers on the Whale, our support vehicle. 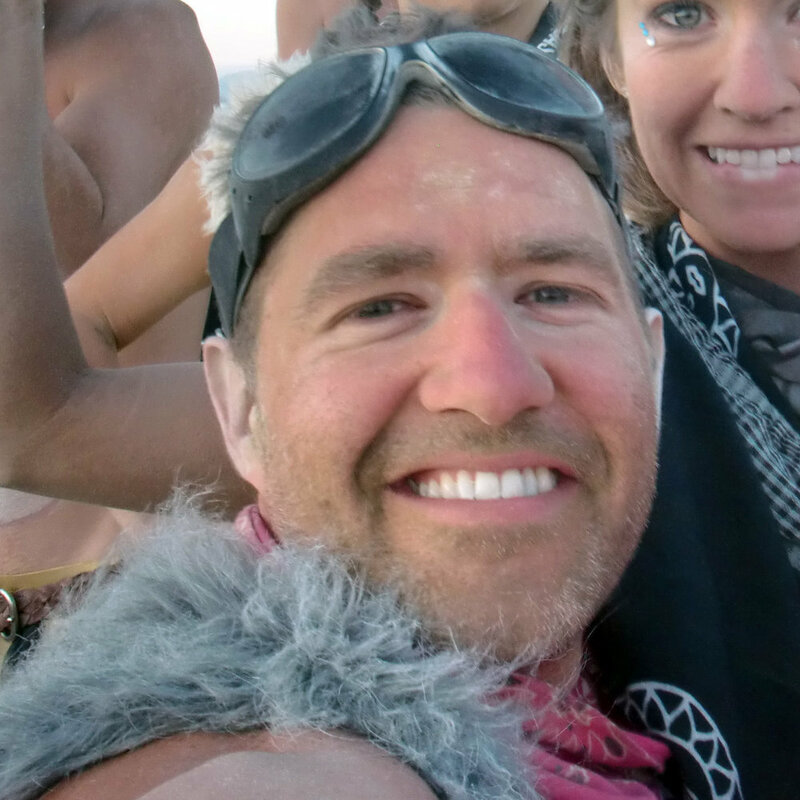 Nia has worked with two very different Burning Man different artist/engineer groups. In 2016 she worked with a team in Santa Cruz to redesign audio and lighting components for Dragons of Eden. Riveting, soldering, arduino assembly, and LED ornamenting were just a few of her contributions to these exhibits. Nia was co-pilot on the Dragons of Eden art car in Illumination Village (aka IllVille). Satan’s Calliope, Boom Cookie and the neon dragon artcar “fluffy” were all projects she helped with that year. In 2017 she was a team member on DiscoFish, DJing for the dancers and the roving audience, from sundown to sun-up. By day, Nia is a network engineer. By night she has a DJ residency, Saturdays, at MOTIV nightclub in Santa Cruz. David has been helping with the Blinkenlights. If it doesn't have LEDs on it it needs LEDs on it. If it already has LEDs it needs MORE LEDs. Also, he put together a 3kW solar array to power this mess. Denise has been to Burning Man twice, and both times helped with building art projects. But, this will be the first time working on an art car! She designed TechnoGecko logo, helped to put together ideas visually via digital illustrations, and working on testing lighting effects for scales. Off-playa, Paul's an automotive engineer turned tech startup CEO. On-playa, I'm a sparkle donkey - I can build anything, and look fabulous while doing it! On the TechnoGecko, I'm working on vehicle design & visual design.